The exciting and overwhelming task of scouting through endless displays homes is possibly one of the best parts of building your home. You fall in love with new colour pallets, interior designs, and most importantly, the ever-important floor plan. However, these excursions can also be a little misleading at times. It is best to go in knowing what you want and knowing what you need to do! Read below to see our top tips for mastering the display hunt! 1. Layout: think critically about where rooms are placed, and how the work functionally. Try picturing yourself going about your daily routine in this home. Where will you come in? Are the kids too far away? Too close? Make sure you have functions for every room you are putting in. 2. Value: Be critical and ask what is included, and the value of items. Don’t be caught up with every little item. Not only does it need to add value to the house, but is it of value to you? For the amount space and area that you get, make sure you are happy with the value of the home. 3. Quality: look carefully at finishes, make sure that your builder takes pride in their homes and wants to present the best-looking home they can. Not only that, look at the types of materials used and if they align to what you are looking for in your own home. 4. Technology: explore the home and find the existing technology that they have incorporated into the design and the functional rooms. Not to mention how they build the home! 5. 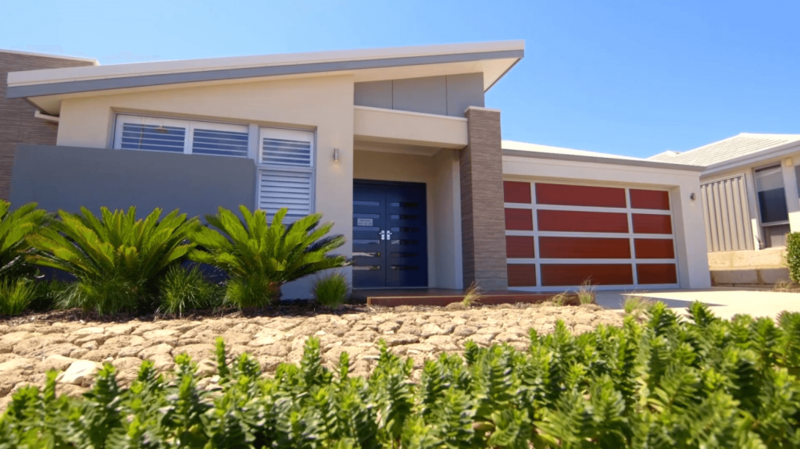 Imagination: a display home isn’t necessarily the most practical home ever built, however, they are meant to leave you in awe, and hopefully in love! It is important to think about how this home is different to all the others. Look at the little details, and the way the builder has tried to reimagine a relatively standard space. Although displays are magical and can really get you thinking about your own future home, they should be seen and used as a tool to shortlist your prospective builders. Avoid spending weekend after weekend, shopping every estate you can get to, to find the elusive “perfect display home”. We will save you some time, it doesn’t exist. Take photos and get inspiration, but ultimately, you go through a thorough design process with a great consultant to find your right design.